60 plus years ago, on 26 December 1955, six yachts started a yacht race. The race, which Anthony Hocking describes in much detail in his book “Yachting in Southern Africa”, was conceived of by Frank Morgan and Ivor Jamieson. So a race was organized. It started at Simonstown and finished at Mossel Bay. It was the first true ocean race ever held in South Africa. Since then the race has run various variations of the course. All South Africa’s top offshore sailors have cut their teeth on this event. False Bay Yacht Club is honored to be running this event in its original format, a true South African offshore classic! This would bode well to bolster the offshore racing in the Western Cape. We welcome back past and New participants to this year’s MBR 2018. This year the overall winner will be scored on Club rating, allowing all entrants a chance at the overall honours. There will be additional class’s such as ORC and Multihull, should sufficient numbers warrant it. Please take note that the minimum safety requirements for this race is a Cat C with Life rafts and the equipment as stated in Schedule 1 (Schedule 1 is a Race Requirement). The Cat C COF legally only allows boats a maximum of 15NM offshore. So, should Skippers feel they might wish to venture further, they would have to upgrade their COF to comply with the law. The onus remains with the skipper to ensure their boat complies with all laws. We would recommend considering upgrading to a Cat B. 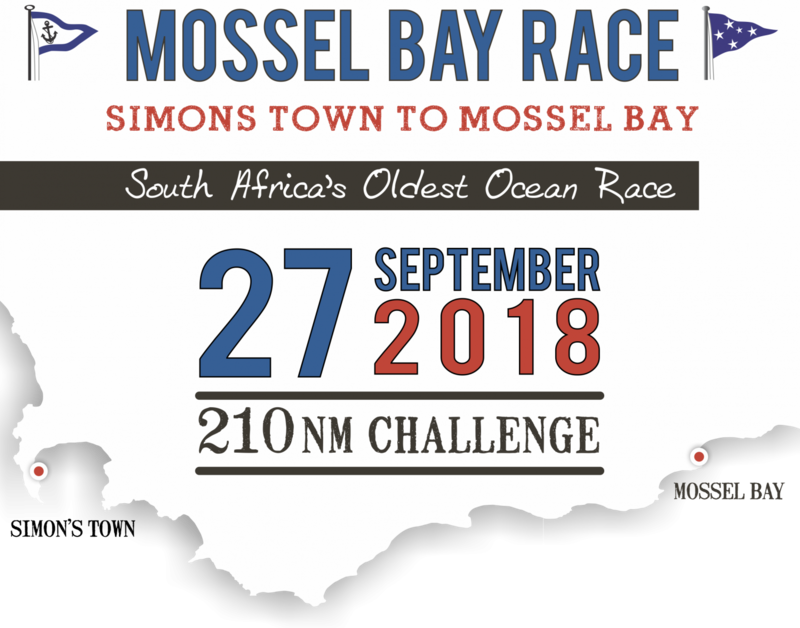 For further information about the race, the race documents and more, please visit the Mossel Bay Race website. If you have questions or require advice, please don’t hesitate to contact the race office at FBYC, we are here to help.